Formed 13 Jul 1943 in Tromsö from Stab/Kü.Fl.Gr.706. * the Ar 196 was based at Aalesund between 27 Jul 1944 and 14 Sep 1944. 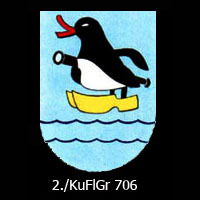 Formed 13 Jul 1943 in Tromsö from 1./Kü.Fl.Gr.706. In Aug 1943 1./SAGr.130 and 2./SAGr.131 exchanged designations. Formed 13 Jul 1943 in Trondheim from 2./Kü.Fl.Gr.706. Disbanded Jan 1945. Formed 13 Jul 1943 in Billefjord from 2./Kü.Fl.Gr.406. In Aug 1943 3./SAGr.130 and 1./SAGr.131 exchanged designations.